In January 1918 Chaplin moved into his own new studio, built in the grounds of an old mansion on the corner of Le Brea and De Longpré, and then still surrounded by orange groves. His cameraman Roland Totheroh had recorded the construction of the studio, filming at intervals from the same position so that the film could subsequently be assembled to give an illusion of speeded-up action. Chaplin had the idea of combining this material with documentary shots of the studio at work, to make a film to be called How to Make Movies. It was never finished or released, presumably because the distributors, First National, did not think that such a casual documentary of this kind would be an adequate replacement for one of the comedies with which Chaplin was contracted to supply them. Although Chaplin used some of the material in The Chaplin Revue in 1959, it was not seen in its entirety until 1982, when Kevin Brownlow and David Gill edited the whole film together as originally intended, following the continuity provided by a surviving title list. The film opens with “A Dream Comes True – His Own Studio”. Albert Austin, in the role of a genie, appears to produce the magic spell which makes the studio spring up in the form of “The Olde English Village”. Chaplin arrives in his motor car, unlocks the studio and enters his office. The mail is brought by the secretary, Nellie Bly Baker – who was to become a character actress in her own right after shining in the role of the masseuse in A Woman of Paris. The studio’s greatest treasures – Charlie’s decrepit comedy boots – are taken out of the safe by Chaplin’s personal valet, Tom Harrington, whose boss instructs him to treat them with reverence. Meanwhile the studio crew are alerted that “He’s here!” and leap into action. Chaplin inspects the carpenters’ shop, and we are shown the laboratories (supervised for the film by Albert Austin) and the editing room, where Chaplin is seen inspecting the rushes. A comedy rehearsal scene involves actors from the studio stock company - Edna Purviance, Henry Bergman, and the diminutive Loyal Underwood, who is repeatedly picked up by the neck by Chaplin and a gigantic fellow-actor. Chaplin does a little hair-dressing and makes a screen test. There is fun at the studio pool. 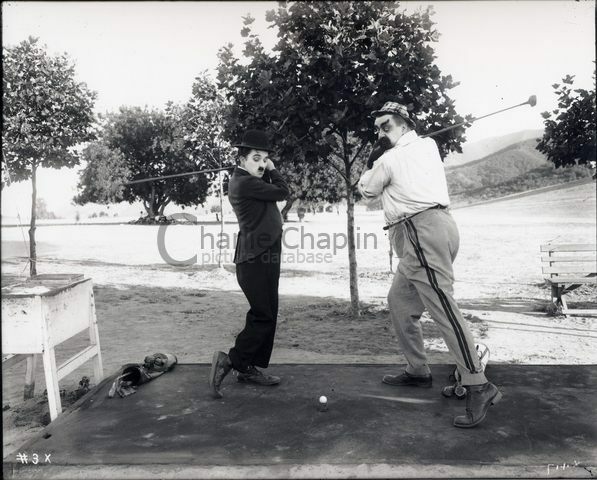 Chaplin puts on his Tramp make-up for a comedy sequence on the golf course – clearly shot before the opening of the studio since it involves Eric Campbell, who died in a car accident in December 1917. 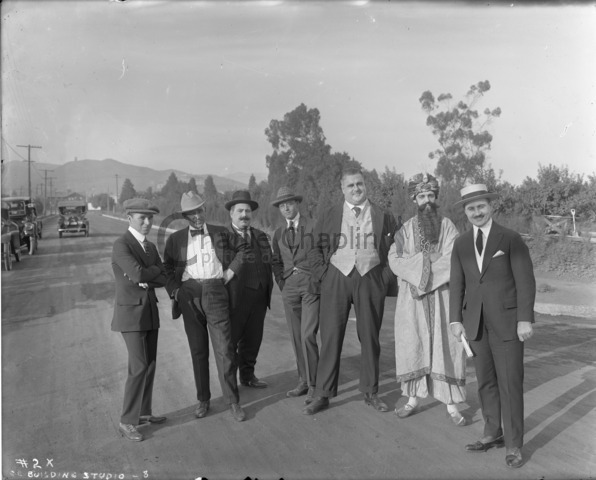 Finally Chaplin removes his costume and make-up, resumes everyday clothes, and is driven away from the studio.